Casa Mia is a Spanish style Country Estate situated in Cullinan, that offers discounts and savings for weddings booked at their venue. Packages are available for New Years and Winter Weddings, Matric Farewells and Functions, with huge savings of between R5 000 and R10 000 (contact the Casa Mia Country Estate for more information and a detailed price list). To ensure couples enjoy a private wedding function and the best personal attention and service, Casa Mia Country Estate caters for only one wedding function per session. The wedding planner team at Casa Mia provides excellent customer service, and can arrange theme weddings (including Spanish, Zen, African, Sea breeze, Medieval, Tropical, Fairytale and many more), a pastor, beautician, hairstylist, flower and candle arrangements, musicians and DJ’s, additional décor, photographers, wedding cakes and gifts, and more. Casa Mia Accommodation: B&B, all rooms en-suite with TV and beverages, and breakfast is served in the Zebra dining room (picnic breakfast can be provided at the dam). 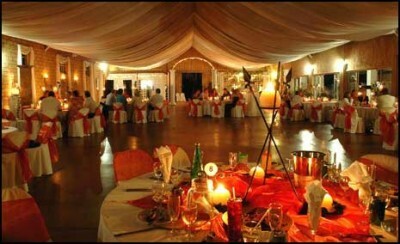 Wedding & Function Venue: Chapel, Garden & Bushveld Ceremonies; Reception Hall & Garden Receptions. Conference Venue: Flamenco Room (fully air-conditioned, Spanish style conference room situated in the garden, seats between 20 and 100 delegates); Viva Espana Hall (can seat 70 to 350 guests) & the Zebra Dining Room where lunch is served. Teambuilding: The “Captains Den (bar & deck facility used with the garden functions, also features braai/spitbraai facilities); Zwakala Boma (enjoy a nightcap after functions with colleagues around the bonfire, situated next to the Captain’s Den bar facility. Pamper Packages: Bridal Packages, Couple Package, Midweek Special, and more. New Year Special: estimated saving of R10 000 for 100 guests. Monday to Friday Special: estimated saving of R5000 plus free gift to the couple when venue is booked, consisting of Choice of 2 bridal suites for preparation for the bride and groom; Use of Casa Mia Pamper room for Casa Mia make-up artist and hairstylist; Mini foot spa treatment for bride with juice in Casa Mia Pamper room; Overnight for the couple in the luxury bridal suite including picnic breakfast (weather permitting). Discount of about R6 000 for weddings booked for Fridays, during the month of January 2014. A Voucher of R2 000 for flowers/decor, for couples who book their wedding at Casa Mia Country Estate – valid until February 2014 (conditions apply).